Robots are very flexible, very accurate, quite fast and they are tireless. Robots provide high productivity and a constant (good) quality. Robots are very capable of performing monotonous tasks, which are hard, boring or even unhealthy for humans. In many cases, robots can even perform such tasks much faster than humans are able to do. With a typical ROI-period of 1-3 years, robots are even quite a good investment, as they mostly stay in operation for significantly more years! Robots are also very durable and they are able to stay in operation for many years. The best brands still have robots in operation which have been installed more than 15 years ago. Robots are even relatively inexpensive in comparison to much simpler, custom built handling machines containing only a few controlled motion axes. Is It Difficult To Use Robots? Robots, indeed, do require programming, opposite to standard industrial machines which mostly perform pre-defined moments only. This programming does require a proper understanding of the task which has to be performed. 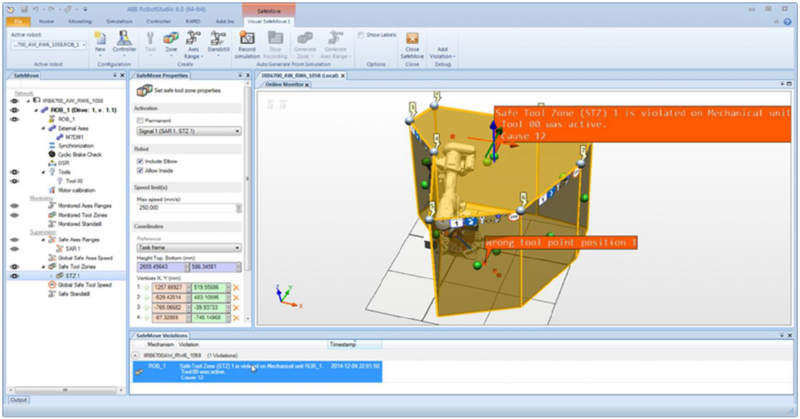 Modern robot programming solutions, such as ABB’s RobotStudio, provides intuitive tools for programming and verifying the robot programs within a graphical simulation environment. 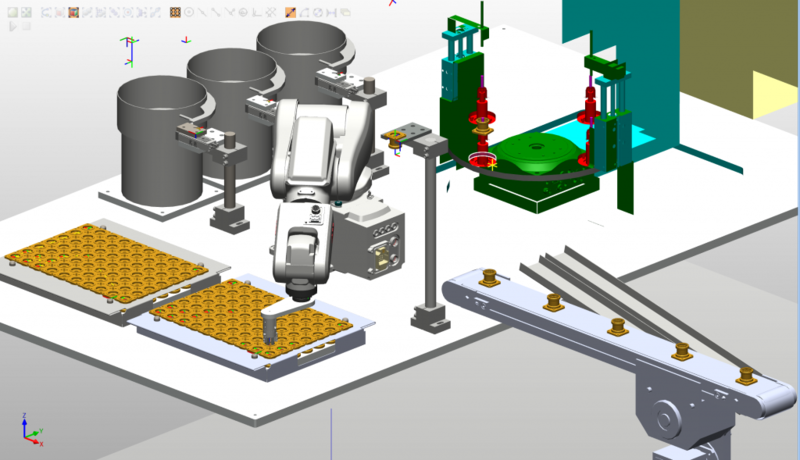 Using such tools allow the programming and even commissioning of robot solutions to be done before the physical robot has been erected and set up. Once a robot installation has been installed and commissioned correctly, it will usually execute the task with a high degree of efficiency and stability. Obviously, robots are moving devices which can potentially harm people and equipment around them. Less rigid fencing can be installed by using light barriers, which provide an easier access for material supply or products to be taken out when needed, but still with the same purpose. Advanced robot control systems provide options for allowing people to get close to the robot, in stages, where the robot automatically slows down or even stops completely. When people leave the area, the robot is able to continue the operation at normal speed. This provides more flexibility, as the robot’s operation is only delayed, without the need to be re-started. For any installation, a risk assessment, covering the whole robot installation, must be accomplished before the line is taken into production! 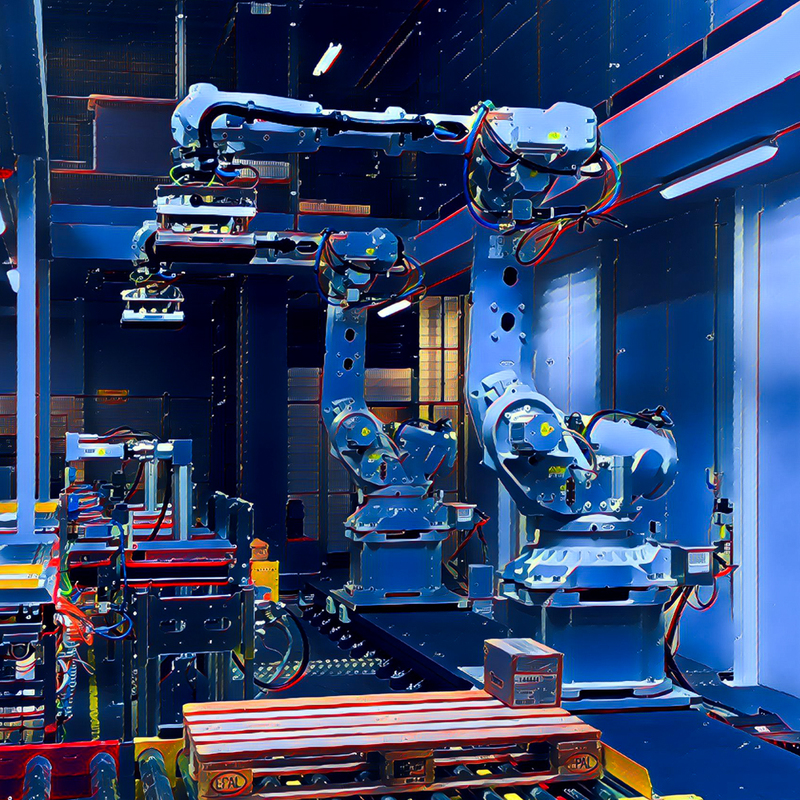 Collaborative robots, which have entered the robot market, are by nature more safe, as they are intended to be used with humans being near-by without any safety barriers. This is mainly achieved by a reduced maximum speed, reduced force on impact and with a less harming physical enclosure of the robot arm(s). Nevertheless, also collaborative robots can be dangerous when equipped with dangerous tools, or when they manipulate objects which can be harmful!!! The risks assessment for an installation employing a collaborative robot must also include the tools adapted on the robots arm as well as the objects handled by it!